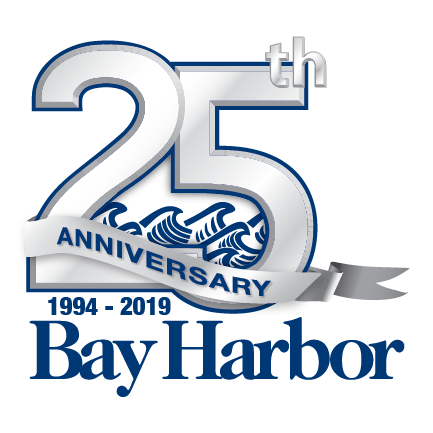 Bay Harbor is proud of the awards and accolades we have received over the years. We are honored for the recognition and hold them all in the highest regard. CNBC International Property Award (2009) – Best Residential Development USA – The CNBC Property Awards, in association with CNBC Arabia and the New York Times, are judged by a panel of 52 independent professionals whose collective knowledge of the property industry is unsurpassed by any other property awards. The International Property Awards are also supported by 12 professional bodies and many of these are represented on the judging panel. Having earned these high accolades, winning developments including North Sound Yacht Club and Bay Harbor are now entitled to display the CNBC Property Awards logo with pride. This symbol of excellence has become recognized and appreciated by property buyers the world over. Clean Marina Recertification (2009) – Bay Harbor Lake Marina – Michigan Boating Industries Association, Michigan Sea Grant, and the Michigan Department of Environmental Quality – The Clean Marina Program (CMP) is a joint undertaking by the Michigan Boating Industries Association, Michigan Sea Grant, and the Michigan Department of Environmental Quality. It is the policy of a clean marina to protect the health of boaters, staff, and the environment by preventing the discharge of pollutants to the water, land, and air. ULI International Award for Excellence (2003) – Bay Harbor – Urban Land Institute – The ULI Awards program is the centerpiece of the Institute’s efforts to identify and promote best practices in all types of real estate development.